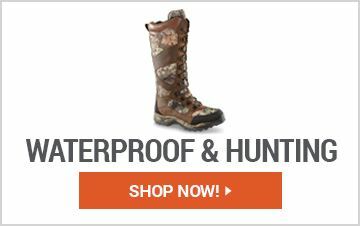 Whether you're looking for Men's Hunting Boots, Work Boots, Steel Toe Boots, Cowboy Boots, Combat & Tactical Boots or Rubber & Rain Boots, Sportsman's Guide offers great low prices on discount boots & shoes from premium brands that you trust. We have the Men's Boots & Shoes for all your adventures, from a tough mountain hikes or just relaxing by the fire. 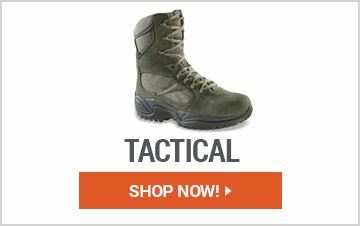 You can't get the job done without the right Men's Shoes or Boots. 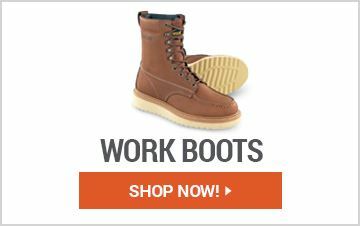 Sportsman's Guide has every type of Men's Footwear you need from Running Shoes & Sneakers to the toughest Logging Boots and driest Waders. Be prepared for your next hike with insulated and waterproof Hiking Boots & Shoes in all heights from top brands in the industry! For extreme conditions, our private-stock Winter & Snow Boots can handle even the coldest, wettest conditions you'll encounter.